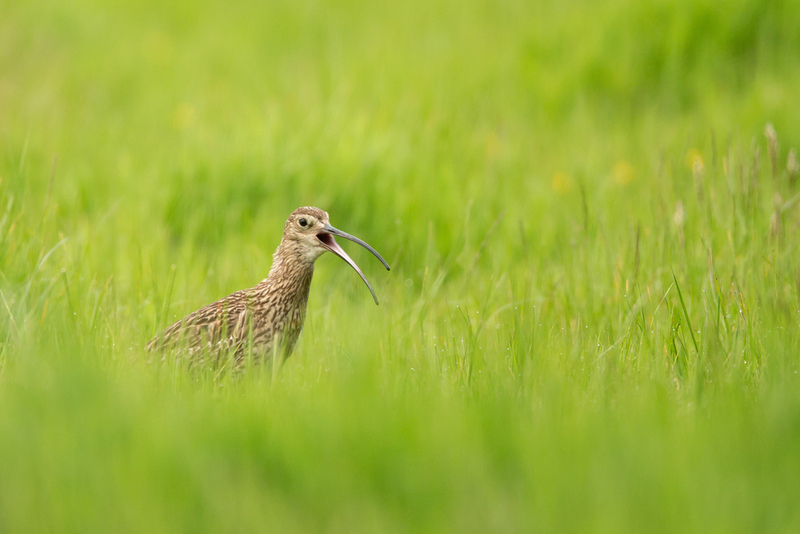 THE LOCAL CURLEWS APPEAR TO HAVE YOUNG NOW judging by the amount of noisy activity over the Birdquest office at the moment. These photos were taken from the car park! This near-threatened bird has declined across its range it is still fairly common in East Lancs for the time being. One wonders for how long though with such early silage cutting in most of the lowland areas? 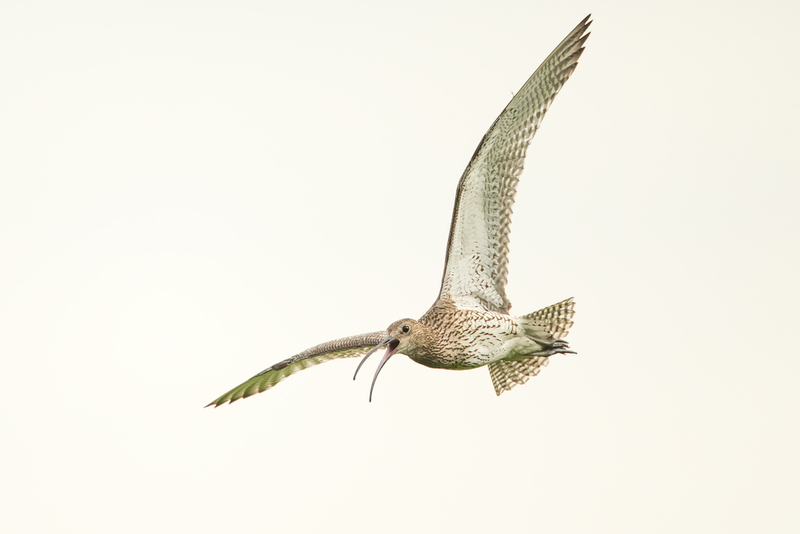 Let's hope that some of the work done by the RSPB can help this special shorebird. They have always been one of my favourite birds, going back to childhood days in Weardale and the countryside would feel empty without them. 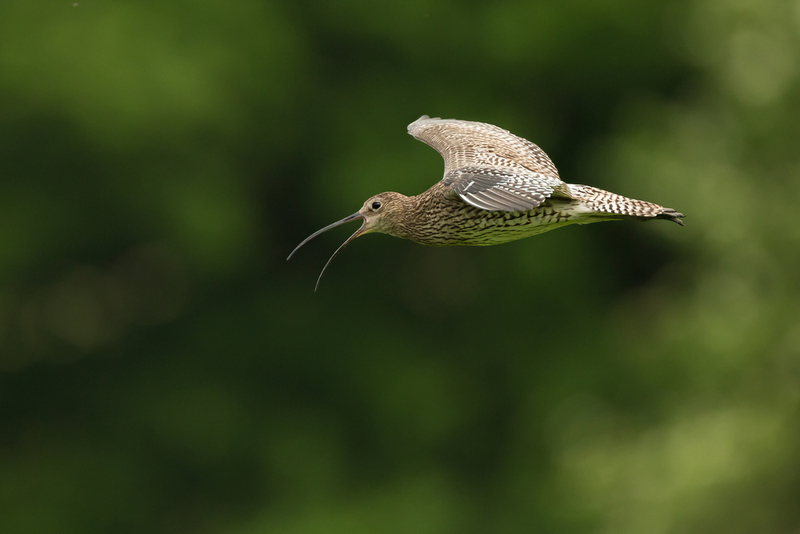 Eurasian Curlew on its breeding territory in Ribchester - I can hear this one calling early each morning from my bed! A MORNING WALK OF HAIL AND SUNNY INTERVALS along the riverbank added three new birds to the Ribchester year list - Common Redshank (one on the river at the water treatment plant bend), Common Linnet (a pair on the riverbank opposite Osbaldeston Hall) and Peregrine (a long expected addition, flying north over Preston Road). The count was a surprisingly good 45 species and included four Common Goldeneye still on the river, although no Goosanders today for the first time this year. Buzzards were in evidence with at least five included four, two pairs, soaring together to the north of Singleton House suggested some migration but there was also a single bird sky dancing over Old Park Wood, while a couple of Grey Wagtails had paired up on the riverbank there. There appear to be three pairs of Common Oystercatchers along this stretch of the river, at least four lapwing territories and a pair of curlews just to the south of Singleton House. A Goldcrest was singing from a lone conifer opposite the school and there were still at least 11 Sand Martins along the river despite the snow on the car this morning. A couple of flocks of Fieldfares were still in the Boat House area and other birds on the move included at least five Meadow Pipits. The year list for this walk now stands at 65! A Semi-palmated Plover feeding on the shore. SMALL NUMBERS OF SEMI-PALMATED PLOVERS AND WESTERN SANDPIPERS DELIGHTED on the sandy shore at Stone Harbor. Although the Piping Plovers that breed here in the summer were now gone there were still plenty of other shorebirds to watch, in between the dumb beach walkers who persisted in walking along the water’s edge. Given time it was possible to get very close to them, lying on the ultra fine sand. Sanderlings from the High Arctic were the commonest shorebirds but were also joined by a few Red Knot and Dunlin. Two Red Knot, Black-bellied Plovers and a couple of juvenile Semi-palmated Plovers also enlivened my visits. The second, with Wildside guide and ex-pat Brit Adrian Binns, was ‘with the lights on’ in lovely evening sun that improved on my rather flat photos from the first session. The shorebirds were also more approachable here than back home. I’ll be back!